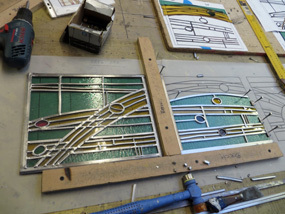 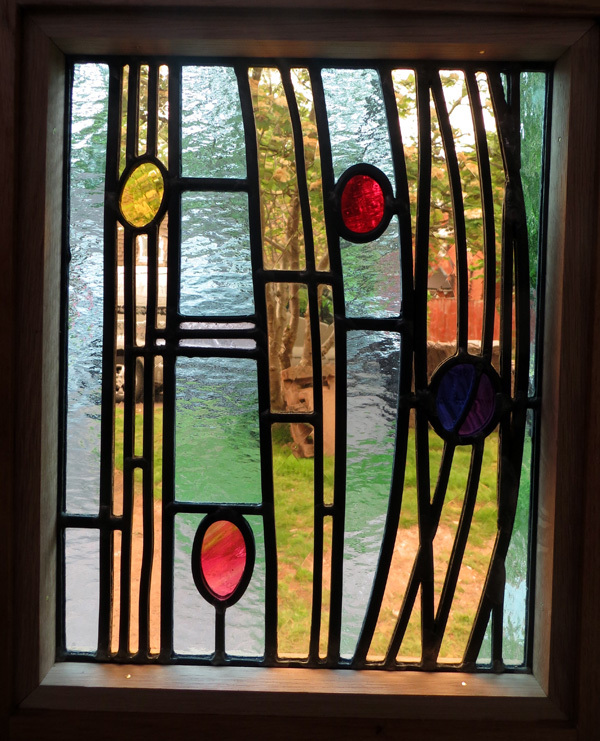 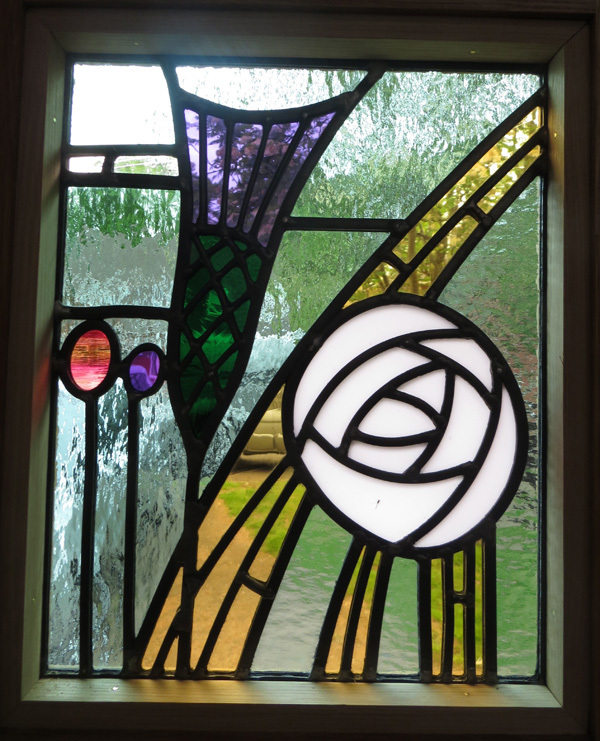 Here’s some images of some recently made Art Noveau leaded door panels, inspired by a window at The Hill House, Charles Rennie Mackintosh’s domestic masterpiece. 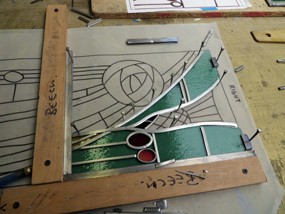 The customers wanted the design to reflect their Scottish and Yorkshire roots hence the thistle and white rose. 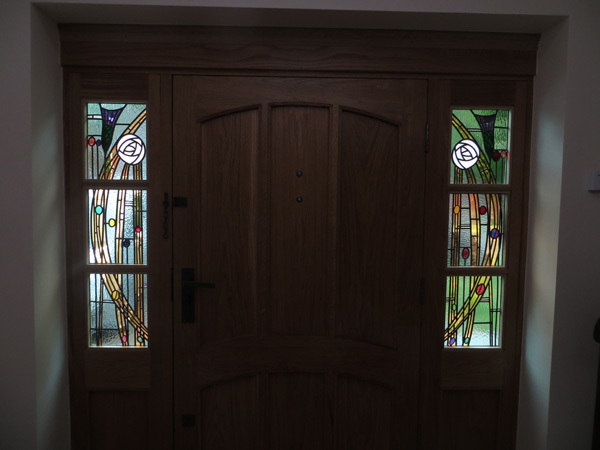 The panels sit either side of a solid oak door and are made from various textured and handmade glass.